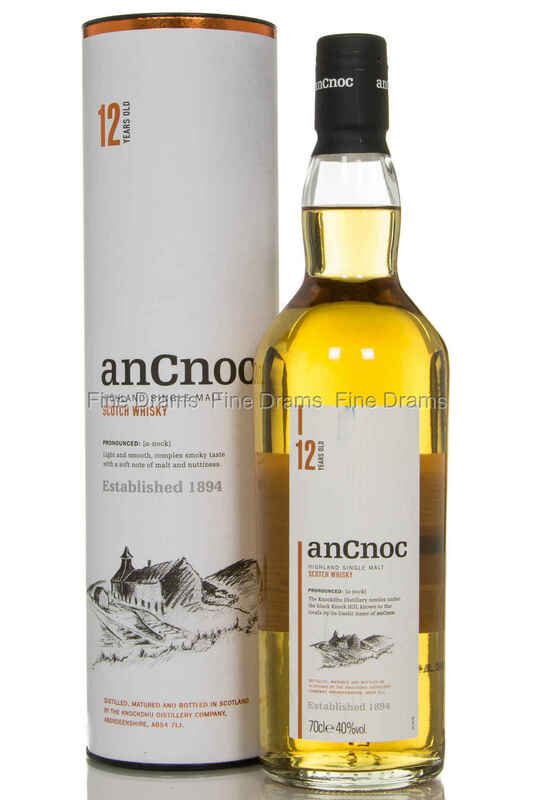 A 12 year old from the Knockdhu distillery, released under the Ancnoc name to avoid confusion with the Knockando distillery. This is an expression made with a high proportion of sherry casks, making it a rich, citrusy and full bodied whisky, perfect for the spring and summer months. Nose: Lots of woody fruits initially- apples, pears, blackberries. Grapefruit rind and blood orange, some ginger. Palate: Apple juice and ginger. Pears and citrus, waxy grapefruit with some spice. Malt and tobacco smoke. Some vanilla and honey. Finish: Cinnamon and vanilla on the finish, short but satisfying. Overall: Excellent simple whisky that showcases the house style well. Straightforward enjoyable scotch that hits the spot.